The Carnkie Trail is mainly mining related but with two chapels and a Sunday School. Parking – Parking at Carnkie tin mine. Eating and shopping – there are no shops on the route. Public houses – family friendly pub The Countryman – marked on map. Cycle Trail – cycle trail with steep hill to finish. Walking Trail – an easy trail but with some uneven ground. Disability access – not suitable for scooters due to narrow uneven ground. The first chapel was leased by the Basset family in 1797. 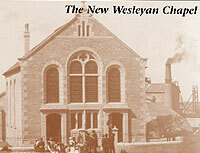 The lease was renewed in 1840, the date the second chapel was built, seating 250. This chapel stood on what is now the entrance to the Village Hall. The 1905 chapel was built to replace the second one. The 1905 chapel stands on land formerly occupied by three cottages, part of a row of five, with only now two remaining. 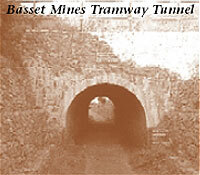 The mine probably dates from the 18th Century but closed in 1824 to re-open in 1834 with a lease having been granted by Frances Baroness Basset, daughter of Lord de Dunstanville. Marriott’s shaft was sunk in 1845. South Frances Ltd. was amalgamated with Wheal Basset to form Basset Mines Ltd, which was registered in 1896. The company developed the property extensively and was one of the best equipped mines in Cornwall. The miners’ changing room or ‘dry’ replaced the old one in 1908. It was described as ‘second to none in the county’. The company went into liquidation in 1919. Built 1908 to take the mineral line from Marriott’s shaft to East Basset stamps. It had been buried under mine dumps and was rediscovered, repaired and re-opened in 1997. Set up in 1887 by the Cornish Tin Smelting Co. and served by a branch of the Redruth & Chasewater Railway which ran to the Buller Downs Yard. By 1900 it was the largest smelting works in Cornwall and extended by 4 new furnaces in 1912. By 1923 it was the only active smelting works in Cornwall but closed in 1931.